Find information on private schools throughout Central Coast, NSW Australia including all private and independent primary schools and secondary schools. An independent, co-educational, Christian school located on a 12 hectare site in Warnervale, located at the northern end of the Central Coast. A Kindergarten to Year 6 co-educational school on the NSW Central Coast with a proud history of providing excellent education. Committed to the highest quality 21st century education through our innovative curriculum and differentiated learning programs. Fostering the values of respect, forgiveness, justice and learning in our community. Offering diverse curricula activities initiated by a caring and dedicated team where combined with parent involvement offers excellent learning opportunities. Committed to nurturing the growth of the whole child, through core values of faith, belonging, mission, respect and learning. Nurturing students through spiritual growth and dynamic education, instilling the values of Respect, Co-operation, Safety and Learning in each individual. Committed to ensuring vibrant, purposeful learning experiences which nurture all students to develop a love of learning, to be respectful and to fulfil their potential. Our School motto “Alive and Aware” is constantly a reminder of striving to value and foster the sacredness, achievements and potential of each person. A place of learning, united in faith, which integrates a community that supports diversity and is accepting of the individual’s strengths and differences in our contemporary world. Providing a quality education in both Faith and Academic Learning and as a community focused on the shared values of Respect, Responsibility and Reconciliation. A welcoming, positive, hope-filled and inclusive community in which every member is valued, respected and encouraged to reach their full potential. Avondale School provides the opportunity to know Christ, develop full potential, and cultivate a love of learning. 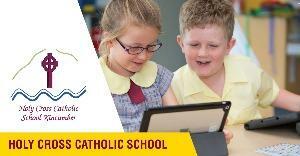 The only Kindergarten to Yr 12 Catholic College in the Broken Bay Diocese. MacKillop Catholic College is a unique place situated on 8 hectares of the Upper Central Coast of NSW with over 1500 students experiencing a quality Catholic School education. A co-educational catholic secondary school where we challenge through excellence.